With the clipless HoldFast IWB-Pocket Concealed Carry Gun Holster, you can carry your gun IWB or in your pocket. 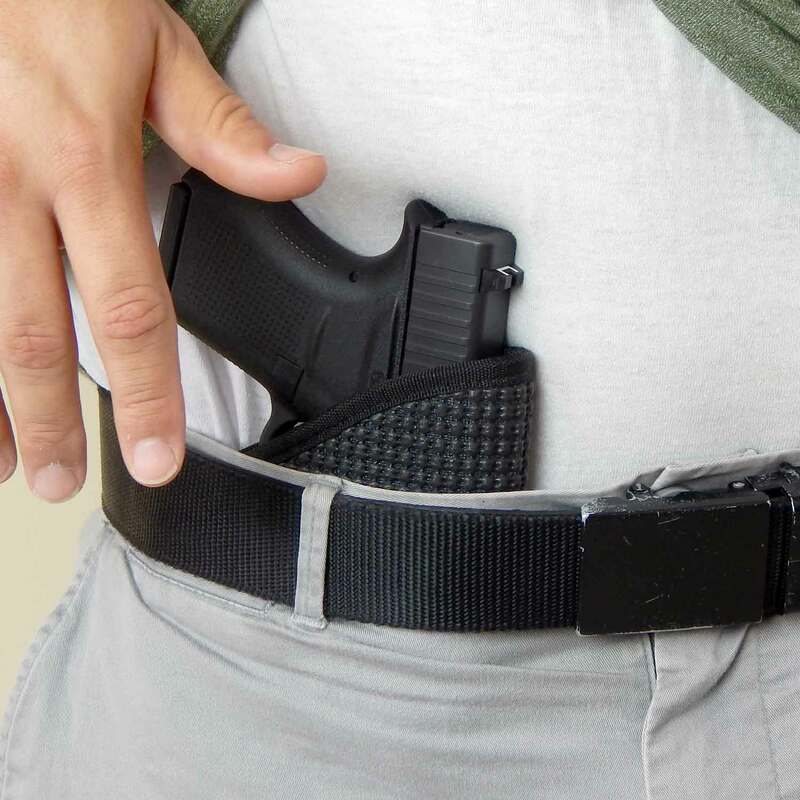 The HoldFast IWB-Pocket Concealed Carry Gun Holster provides simplicity, comfort, and concealment in a compact lightweight design. 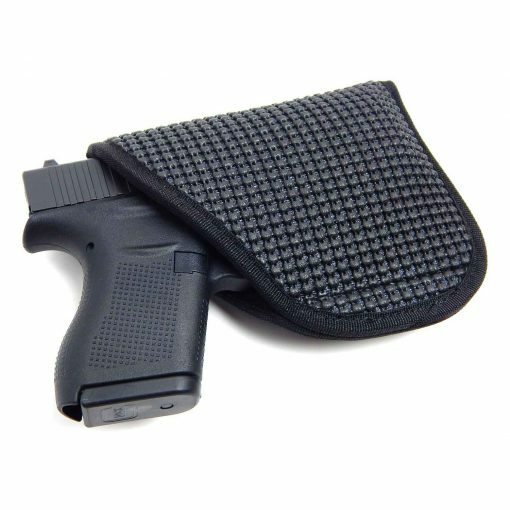 This ambidextrous holster doesn’t have any “give-away” clips or loops on the outside to reveal you are carrying. The tension from your clothes and belt, along with the non-slip material on the outside, will hold the gun firmly in place and close to your body to make it “disappear”. 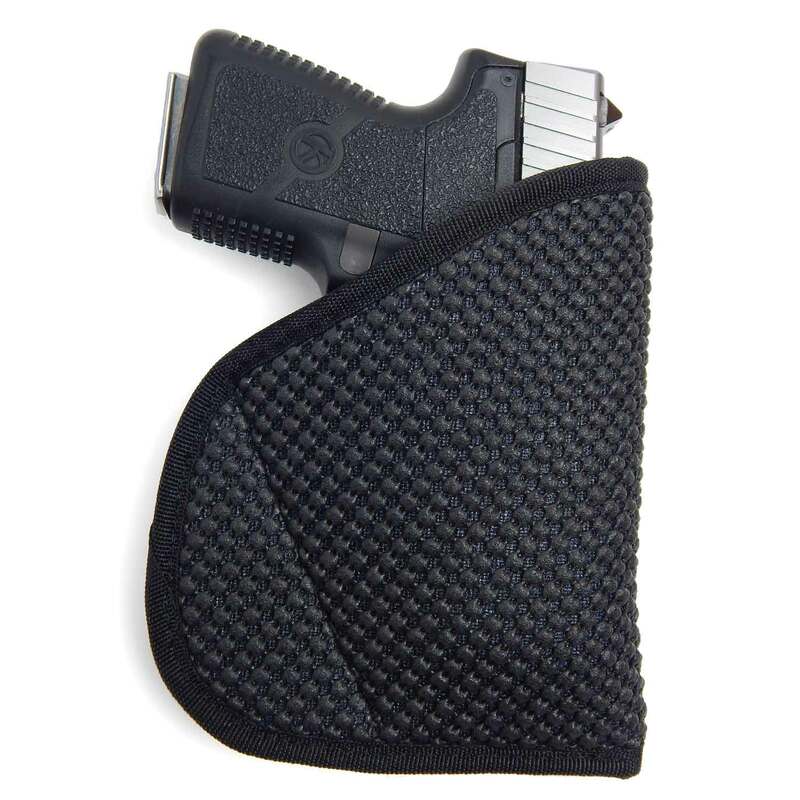 It is constructed from non-slip material on the outside to firmly keep the holster in place. This material grips your clothing, undergarments, skin or the pocket lining for a secure hold. 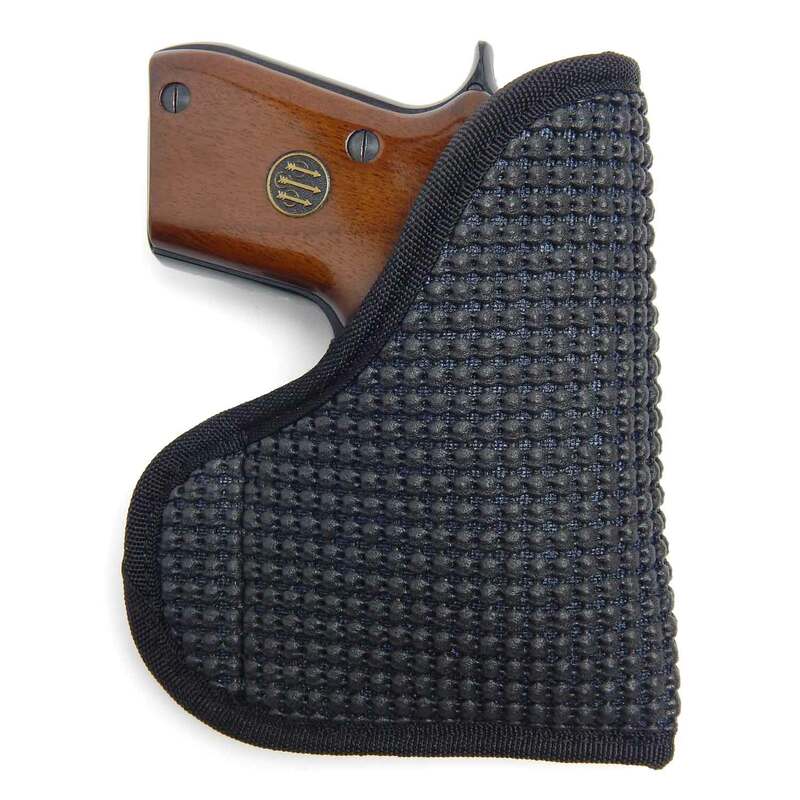 High-tech closed-cell waterproof foam padding provides a comfortable carry and protects the gun from moisture. This foam, with time, will conform to the shape of your gun giving you a custom fit. 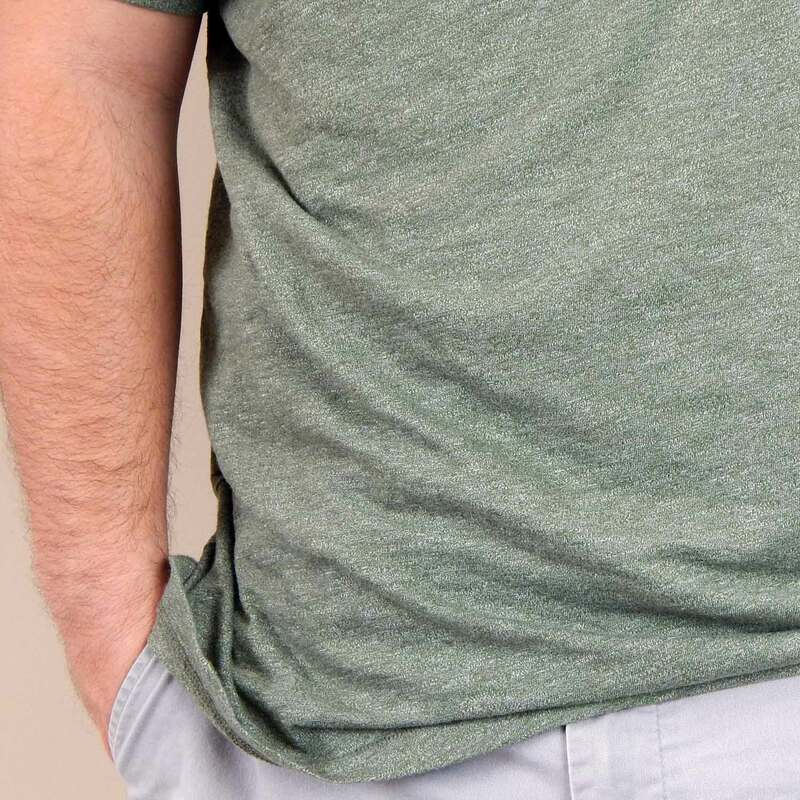 Lined on the inside with smooth Cordura® nylon for durability and an easy, fast draw. This special material is made exclusively for Active Pro Gear. 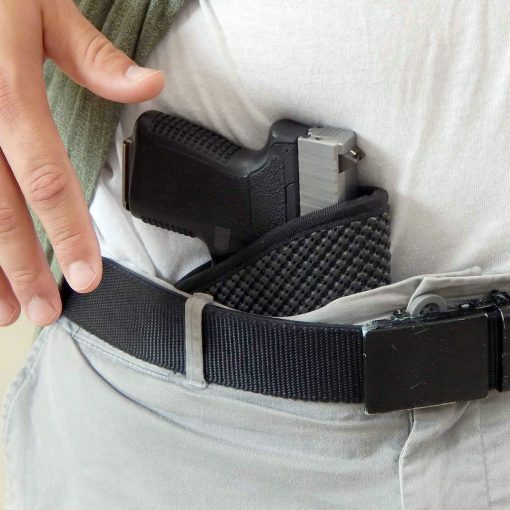 FREE GIFT INCLUDED WITH EACH HOLSTER The Self-Defense Guideline Card! 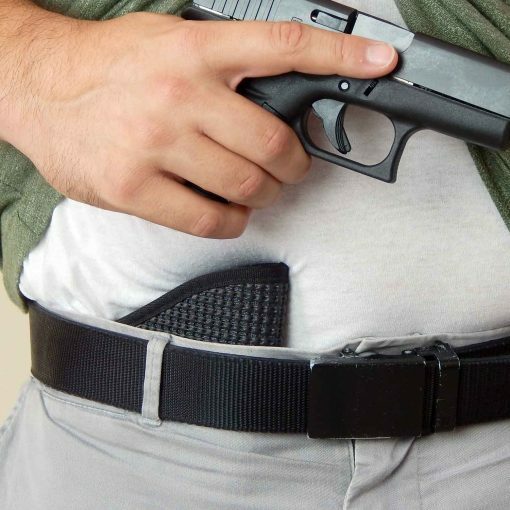 The seven steps you must take to keep you from going to prison if you ever have to use your gun in self-defense. This card reveals, step-by-step, exactly what to do after the confrontation ends and the confusion begins. It contains vital information to protect you! If you carry a gun for protection, you can’t afford to be without this card in your wallet or purse. 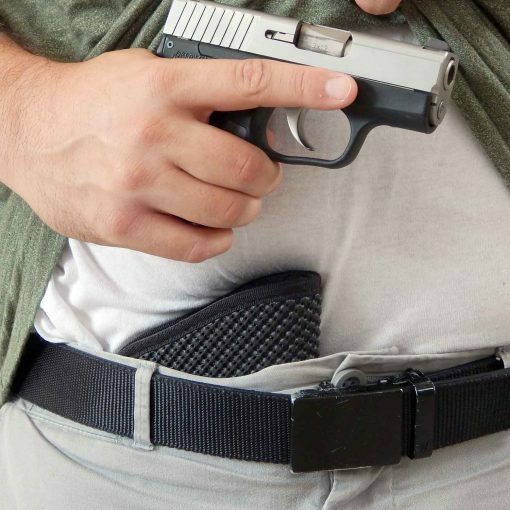 Now you can get this card absolutely free, just by trying the HoldFast IWB-Pocket Concealed Carry Gun Holster—at no risk to you! 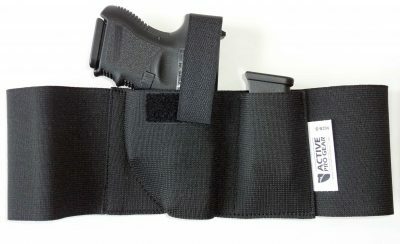 Fits most handguns such as Glock 26, 43, Sig Sauer P365, Beretta, Springfield, M&P Shield, Ruger LC9, Taurus, Kahr, Kimber, Kel Tec, Bersa, Walther, S&W, 380, 40 Auto, 38 special, 45 ACP, 9mm, and many more. I have had it for about a week now and I like it. It is simple and gets the job done. Good holster. Have used it both ways but preferred in the pocket. Highly recommended! Fits my Shield like a a glove. 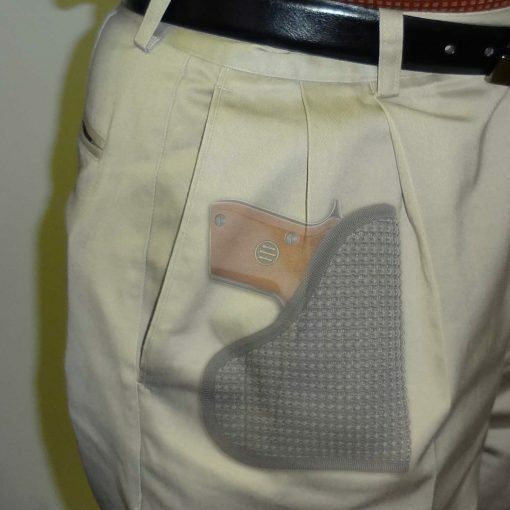 Best pocket holster by far! No printing, stays in pocket and molds nicely to gun. Fits my Kimber ultra carry like a glove! 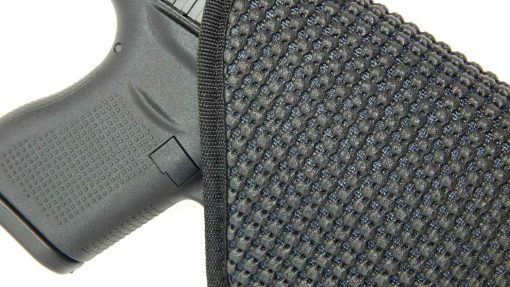 This holster is solid! Extremely happy with my purchase. I carry a P365 in it. 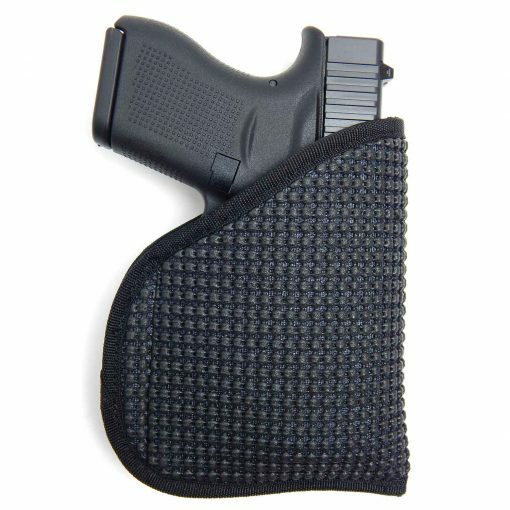 Best pocket holster i have ever had at a great price. 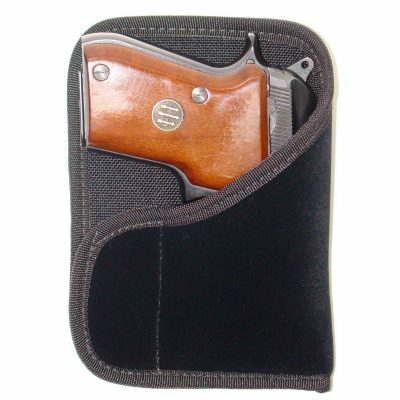 Have bought two for myself and one for my wife, this little holster is well made and exactly what i was looking for.